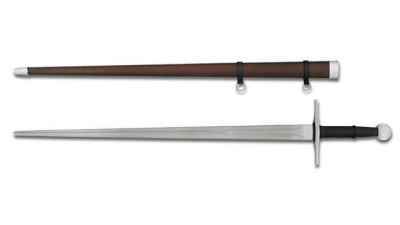 We've been asked for years for a good set of historically researched swords to perform with on stage. 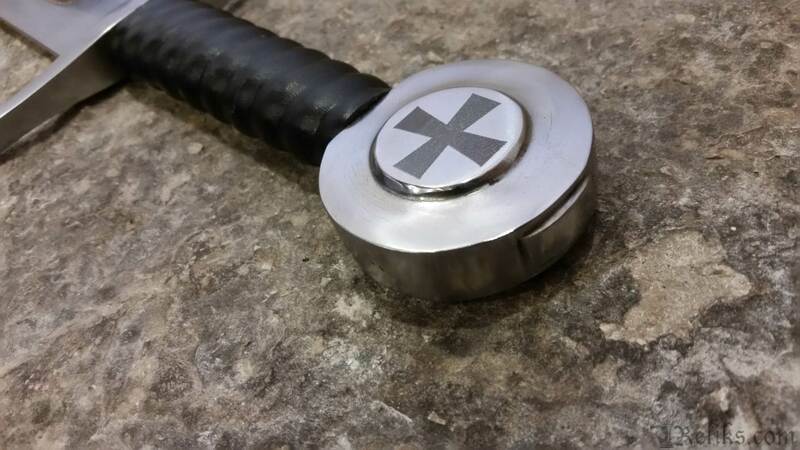 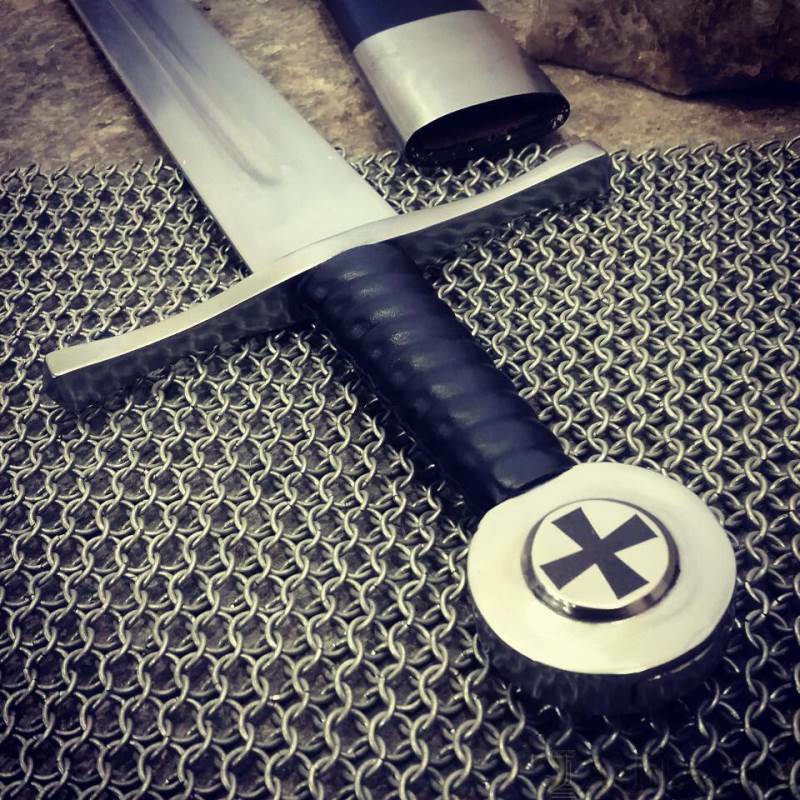 We wanted both authenticity and durability; the kind of sword you can bang edge to edge to complete your performance with confidence and look good doing it. 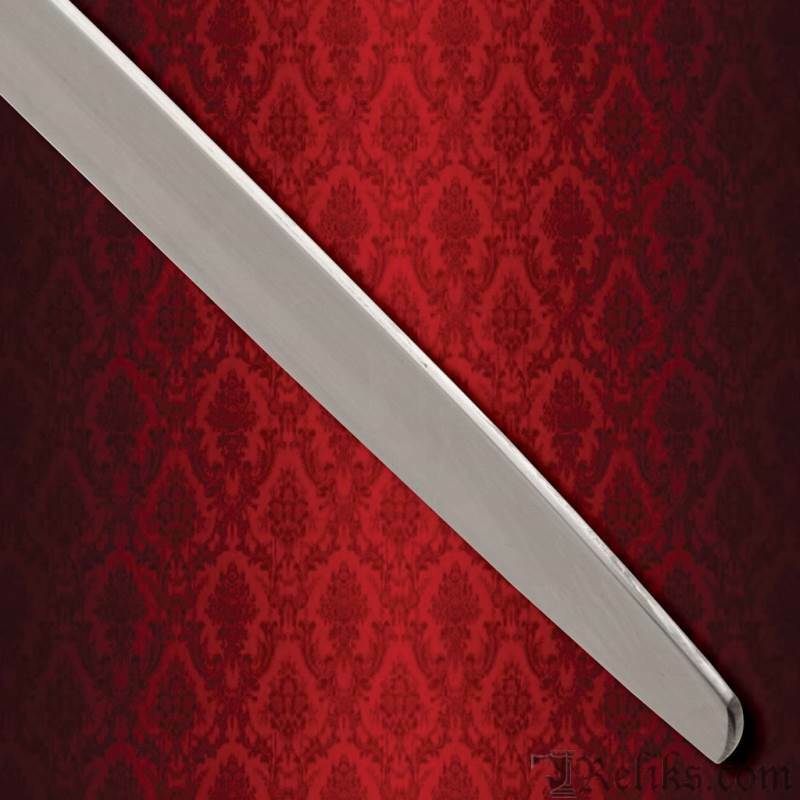 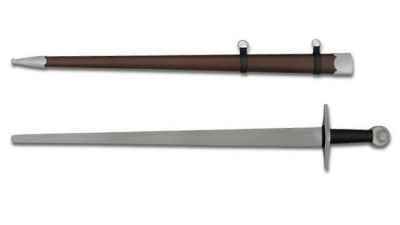 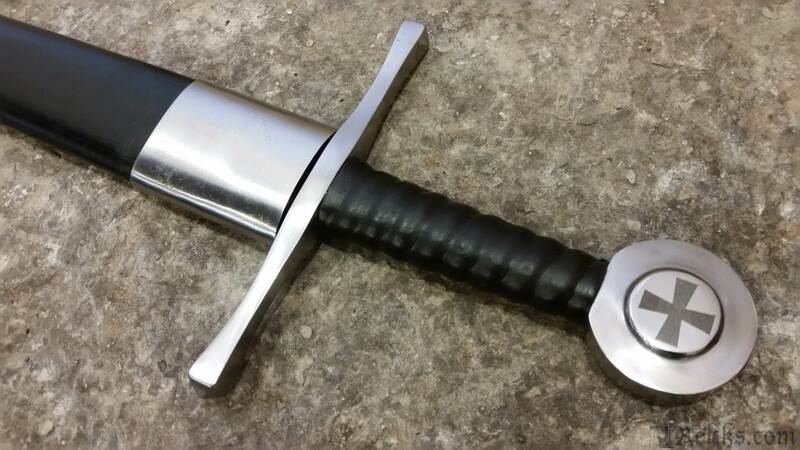 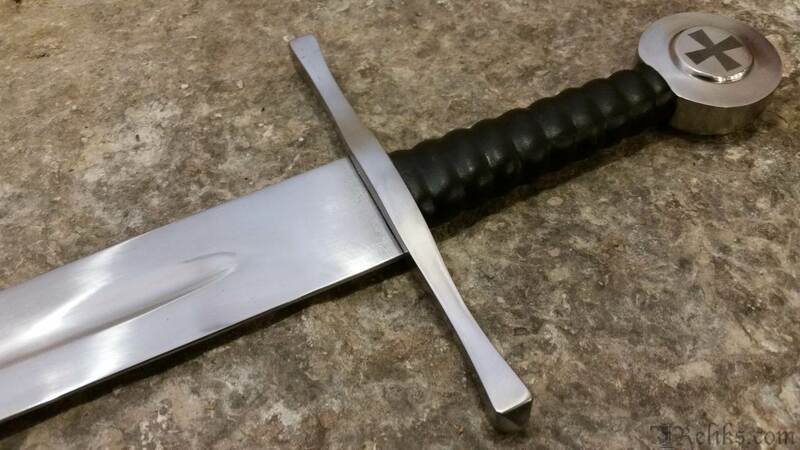 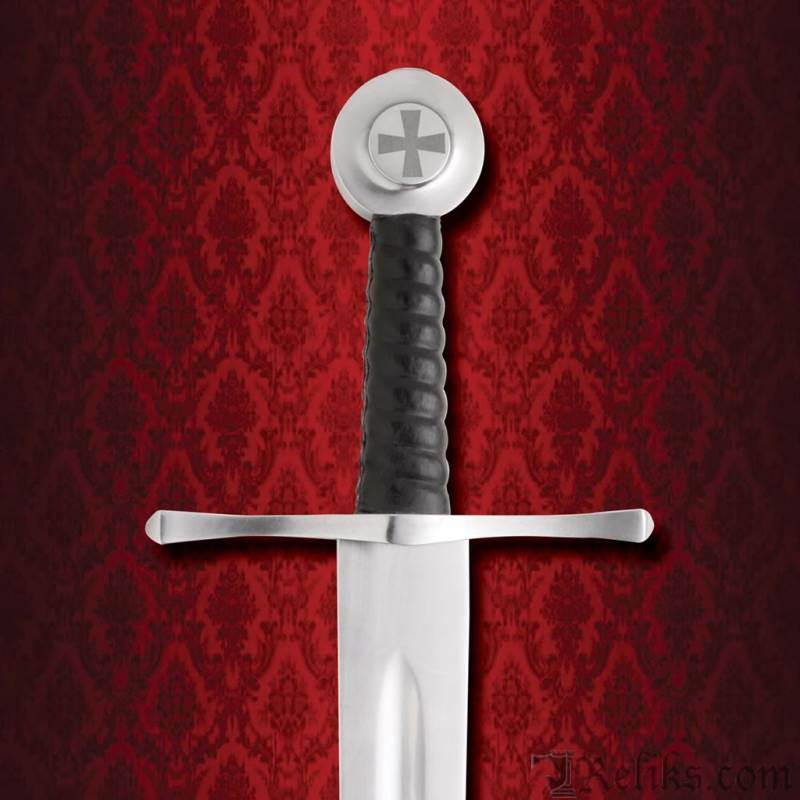 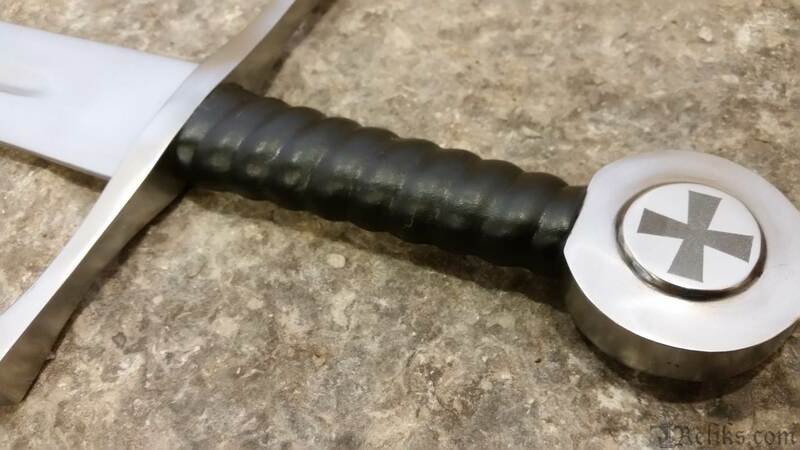 Popular in Europe, our Windlass Stage Combat swords and rapiers have the thick edges and rolled tips needed for live steel action. 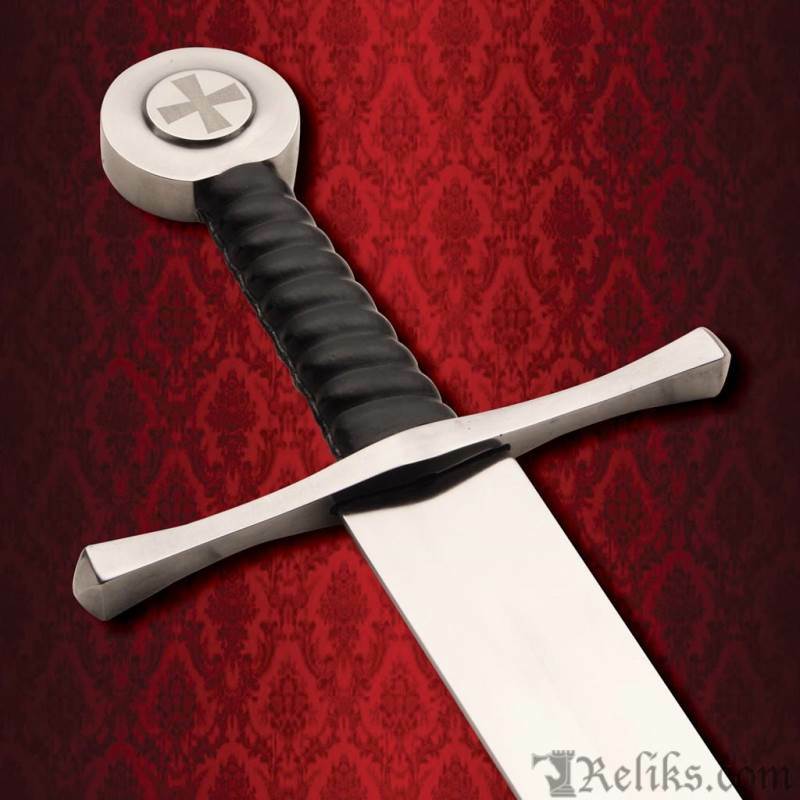 The Templar can be used as a one-handed or hand-and-a-half sword. 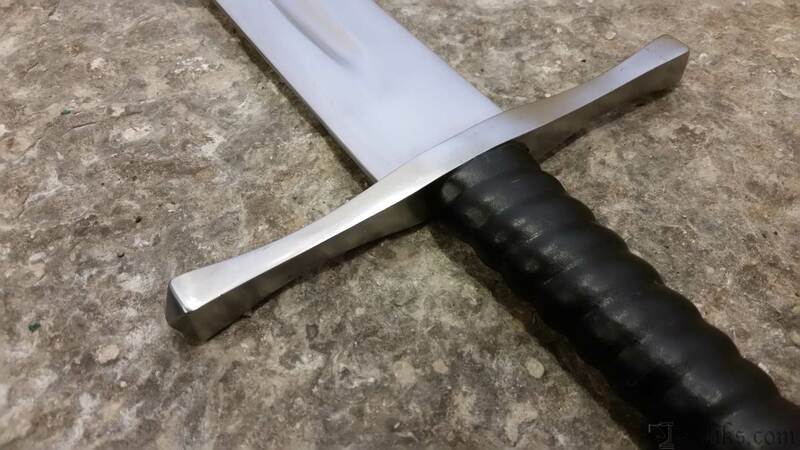 Constructed with a strong, full tang with peened construction using solid steel parts, a leather wrapped wood grip for a strong hold and high carbon steel blade providing years of rugged use. 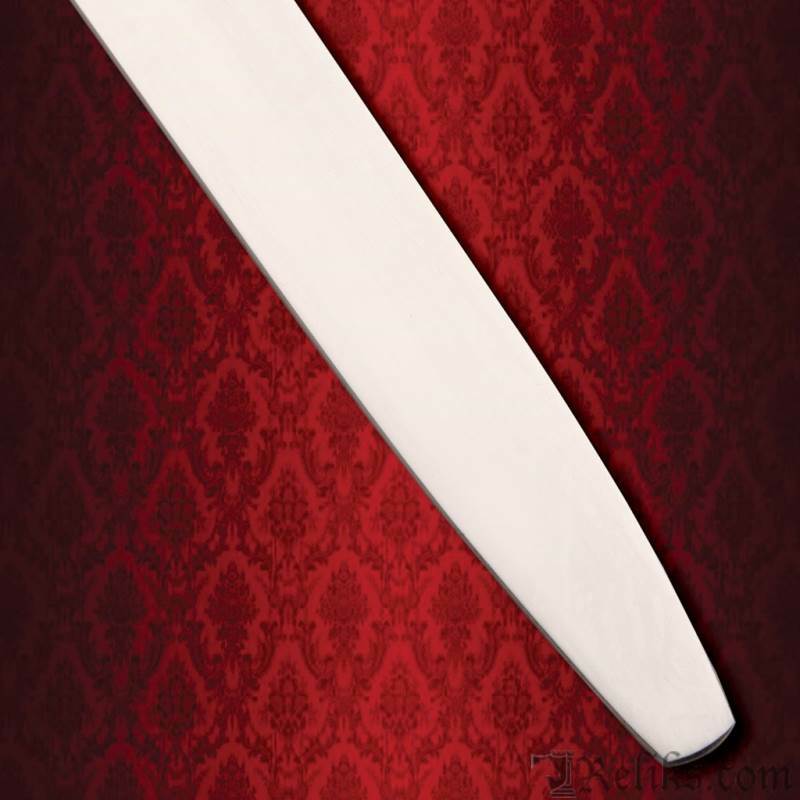 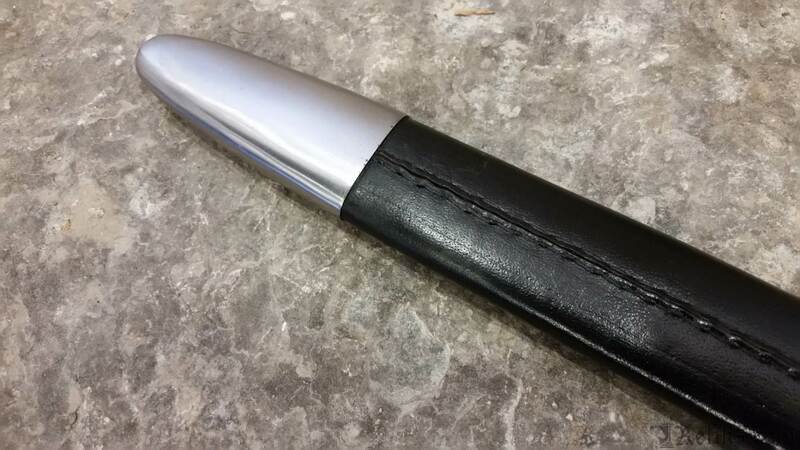 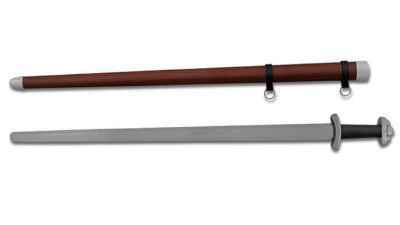 A leather scabbard with metal accents is included. 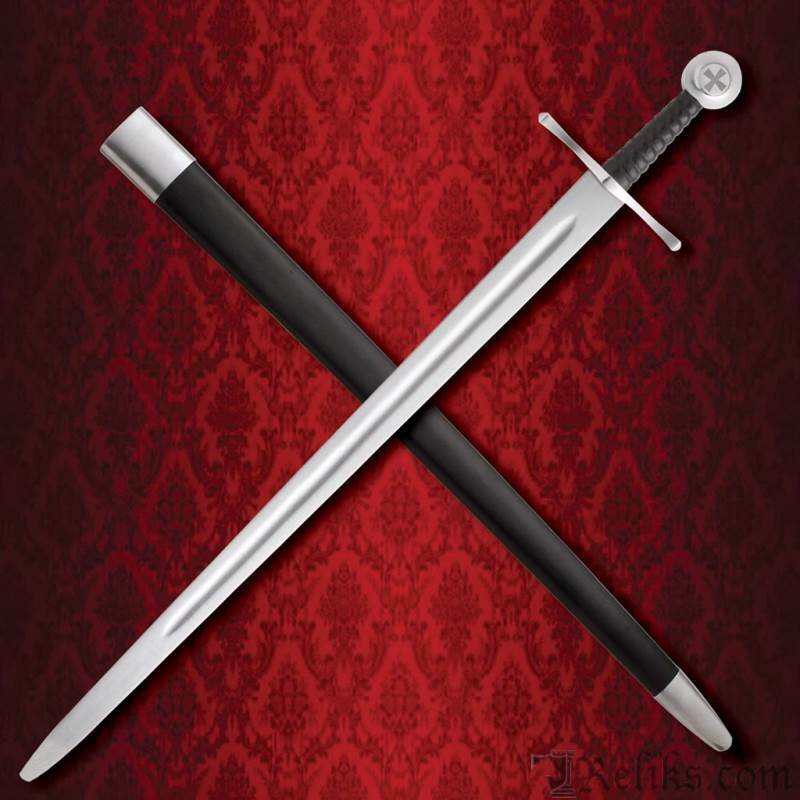 Don't just act, perform!